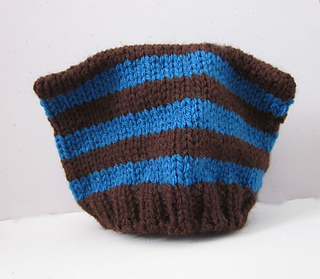 Creating a ‘design your own’ hat pattern has always been on my pattern writing to-do list, but I had never had the time to work on it. After being asked to donate baby hats to the charity Boots & Booties, which holds an annual military baby shower, I knew it was time to get to work. 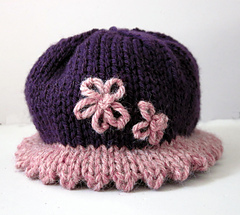 With this pattern you can design your own hats for charity and simple gifts. Five brim designs, three crown designs, plus optional stripes and color blocking choices will give you endless possibilities. 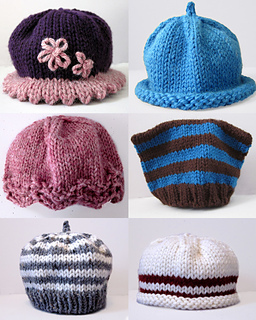 Sizes range from newborn to adult large. 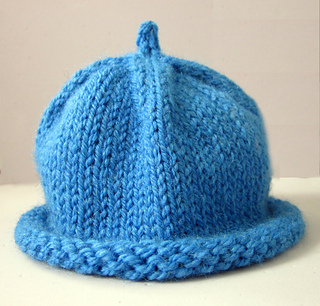 Hats are meant to be worn with 1-2” negative ease. 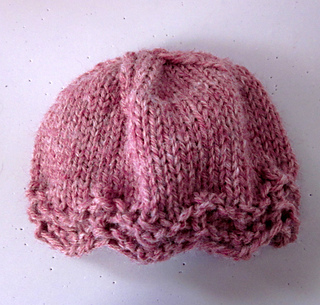 Samples in the photo are newborn sized. 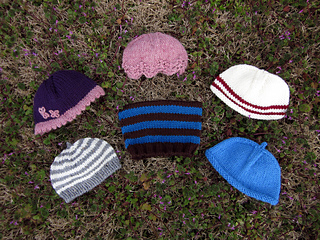 Brim designs include: 1x1 rib, 2x2 rib, rolled brim, picot hem, and scallop edge. Crown designs include: square, basic round, and stem. 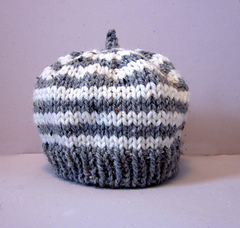 Worsted weight acrylic or wool yarn. 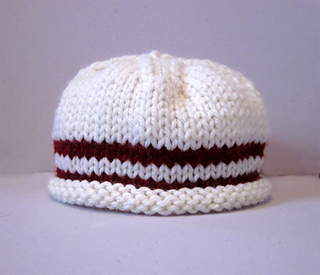 If hat is for a charity I would suggest using acrylic or superwash wool for easy laundering. Approximate yardage needed: 50 (70, 80, 95)115, 135, 160 yds.